Season October 2005 through early April 2006. See the Broadgate Ice web site for more information. 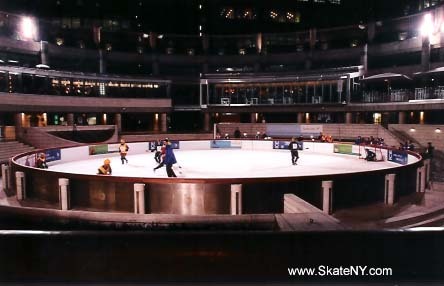 Outdoors - the only outdoor rink open for longer than two months at the holidays. A small round rink. Evening public skating sessions only on Fridays and weekends. Daytime public skating all week. A broomball league operates Monday - Thursday evenings.